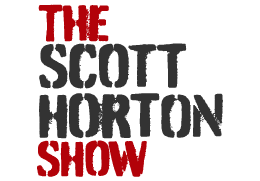 Scott Horton is managing director of The Libertarian Institute, host of Antiwar Radio for Pacifica, 90.7 FM KPFK in Los Angeles and 88.3 FM KUCR in Riverside, California, host of the Scott Horton Show and the opinion editor of Antiwar.com. Horton has conducted more than 4,500 interviews since 2003. He lives in Austin, Texas, with his wife, investigative reporter Larisa Alexandrovna Horton. To listen to Antiwar Radio, tune in to KPFK 90.7 FM, Pacifica, in the Los Angeles area at 8:30 am Pacific time Sundays, subscribe to the podcast feed of the shows at Scott’s website, on iTunes or on Stitcher. Want more Libertarian Foreign Policy? Easy.